The Society examinations not only serve the purpose of a yardstick for people to assess the extent of their knowledge, but also to give assurance and status, especially for those who lecture or give training in this subject. The examination is open to members and non-members; it is hoped that non members will be encouraged to join the Society soon afterwards. 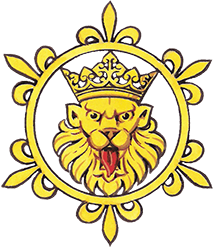 The Society offers in conjunction with the Institute of Heraldic and Genealogical Studies three examination levels – Elementary, Intermediate and Advanced. At each level a pass is recognised by the award of an appropriate Certificate. When taken successfully in this sequence they lead to an award of the Society’s Diploma and the post-nominal DipHS, which may be enhanced through external accreditation by the Institute of Heraldic and Genealogical Studies.